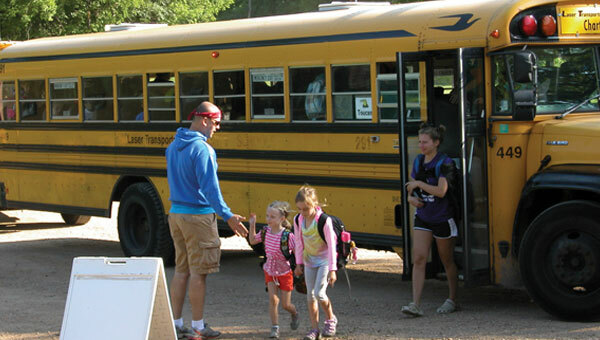 Please note that bus sites are not supervised before pick-up or after drop-off times. Children not picked up within 5 minutes of the scheduled drop-off time by an adult will be brought back to the Ridgedale YMCA. Pick-Up: 8:00 a.m. | Drop-off: 4:50 p.m. Pick-Up: 8:25 a.m. | Drop-off: 4:20 p.m. Pick-Up: 8:30 a.m. | Drop-off: 4:15 p.m. Pick-Up: 8:30 a.m. | Drop-off: 4:25 p.m. Pick-Up: 8:20 a.m. | Drop-off: 4:30 p.m. Pick-Up: 8:55 a.m. | Drop-off: 4:05 p.m.